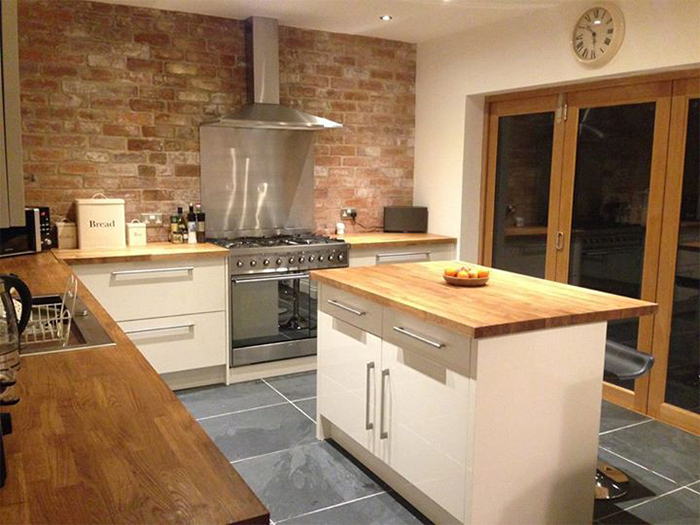 Never underestimate the power of kitchen worktops when designing your new kitchen. Worktops cover a significant portion of the available space, are often one of the first things the eye is drawn to when you enter the room and switching up the worktops can really transform the overall look and feel of the space. It’s important to carefully consider worktop materials to create a kitchen that not only looks good, but is practical too. The best kitchen worktops should not only pair perfectly with your style and space, but should also be durable, hardwearing and be able to be sourced to match your budget. If you have a small kitchen, glass kitchen worktops can make your space seem more spacious and airier thanks to its reflective properties. 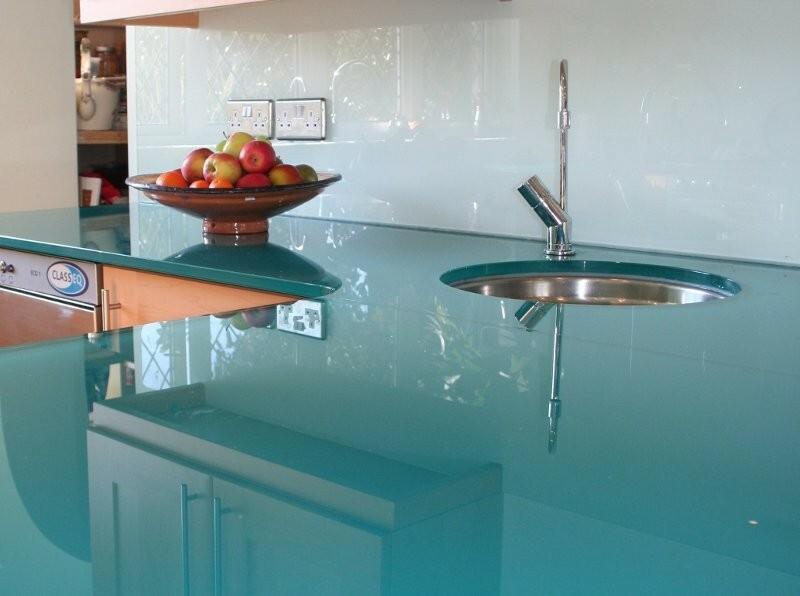 Many homeowners like to install glass worktops around the sink area as, unlike other materials such as wood or stone, glass doesn’t absorb liquids, helping to improve the lifespan of the worktop. However, one aspect to take into account is that glass doesn’t have the same level of heat proofing as some other worktop materials – a hot pan from the oven could create cracks. 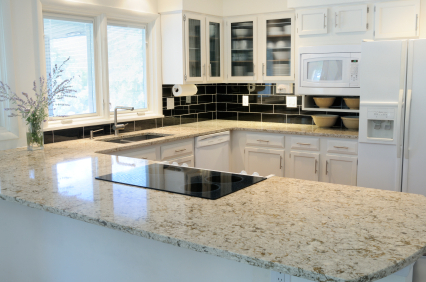 Granite is one of the most durable of worktop materials, which makes it a very attractive option. It’s also loved by bakers because it’s cold to the touch – great for rolling out pastry! Unfortunately, it’s not quite as well loved by cooks, who find that preparing acidic foods, like tomatoes, on the worktop can cause stains to appear. Some homeowners, especially those with large kitchens, worry that granite will make the kitchen feel cold and unwelcoming, but there are many other ways to add warmth to a kitchen. 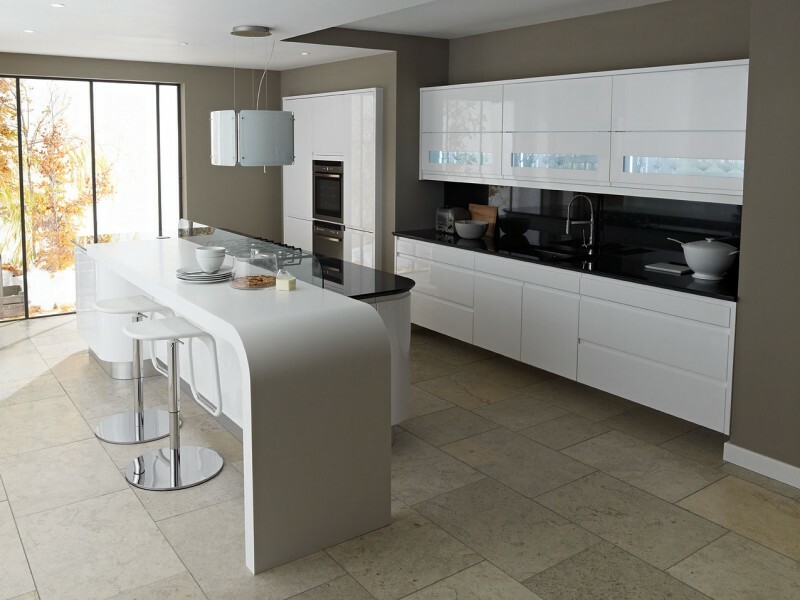 Corian is remarkably similar to granite, but it does have one very unique feature – seamless joins. Corian is becoming very popular with young families who appreciate the hygienic aspect of corian – that crumbs cannot become caught down small gaps in the join. However, corian isn’t quite as durable as granite and it can be vulnerable to scratching, so it may be necessary to add rubber feet to your tabletop appliances. It can also be a little more expensive, but it is possible to find affordable corian worktops by shopping around. Solid wood is perfect for traditional kitchen spaces, and many love it because it adds so much character and personality and yet is still relatively inexpensive to install. With wood, you can easily transform your kitchen over and over by staining or varnishing the worktop with a different colour, so you can easily (and inexpensively!) keep your kitchen fresh and keep up with the latest styles and trends. The only downside of wood worktops is its porous nature – ideally, wood should be maintained with oil regularly.